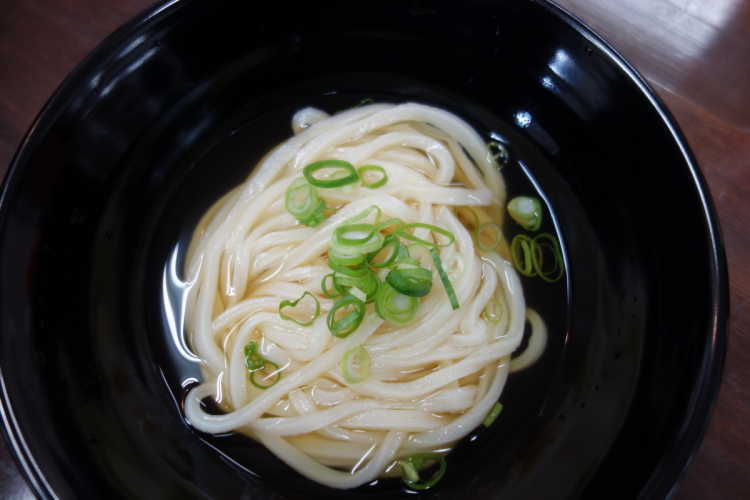 Sanuki Udon has a strong impression as thick noodle but some people like thin Sanuki udon noodle. Yamatomo makes the thin noodle by his hands without any machines. It has a particular chewy texture of Sanuki Udon and goes easily down the throat. Thin noodle gets caught well in golden strong soup, so you don't need almost all of the other flavors.